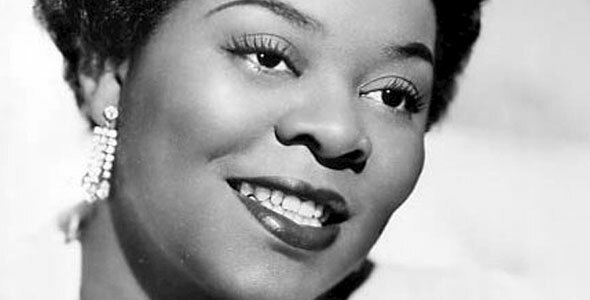 WordPress 4.1 “Dinah” was named after Dinah Washington, the jazz singer. We are going to make a short overview of what jazz you can expect with this latest WP release. Getting WordPress 4.1 is quite easy. You will see a message “WordPress 4.1 is available! Please update now” as a greeting in your dashboard. Just click “Update now” button. Make sure that you have tested theme and plugin compatibility with this latest WP version, and that you have a full backup as well. To do so, it is better to have a separate environment in order to test anything that is important. 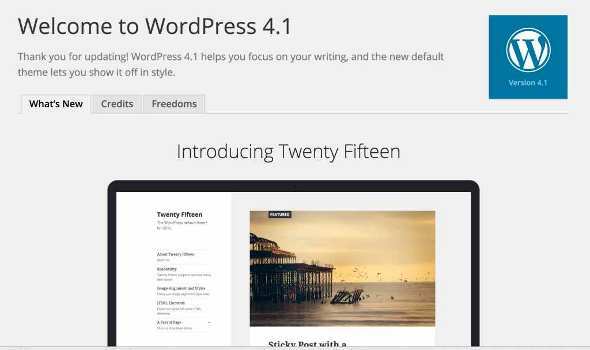 WordPress 4.1 comes with a new default WordPress theme called the Twenty Fifteen Theme. It makes use of Google’s Noto web font, and was created with a strong focus on blogging. It`s font was developed to work across multiple languages and covers over 30 scripts. Twenty Fifteen is another WordPress` step on the way to full internationalization. Since WordPress is a publishing platform, content creation is always in focus for its developers. The existing distraction-free-writing functionality was changed in this new release. 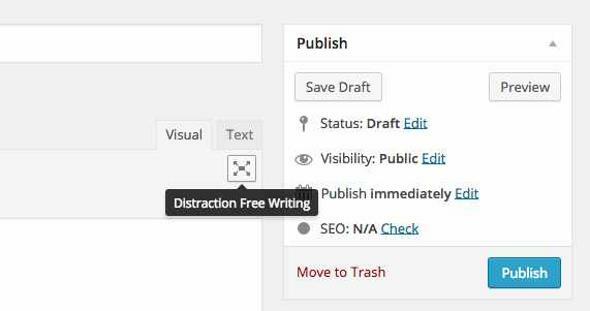 The WordPress team improves the publishing experience in distraction-free-writing, and it will probably become a feature that the people will either hate or love. This button will help you to concentrate on the text, without wasting your attention on other elements on the Dashboard. Starting from WordPress 4.0, you can choose your own language during the installation. Switching languages after the installation has become an easy task, and this is perhaps one of the most powerful WordPress features. WordPress 4.1 has 40 different languages with other translations yet to come. Using the ‘Settings’ and ‘General’ tabs, you can easily change the language of your website. WordPress 4.0 offered a new plugin installation experience with a grid of tiled plugins that displayed information about the ratings and number of downloads more clearly. WordPress 4.1 also comes with a filter of ‘Recommended Plugins,’ which shows you a list of plugins based on popular plugins installed on other similar sites. Now you can log out of all sessions through your profile settings. It is a security feature which will be useful if you use several devices. Vine is a popular platform which allows to upload short videos. WordPress 4.1 has included Vine videos to the list of oEmbed support. 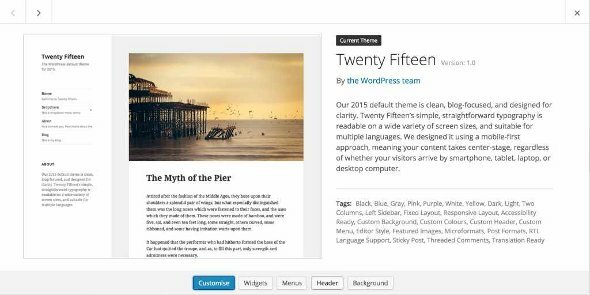 Users will greatly appreciate a new image alignment toolbar in WordPress 4.1. This little change will help new users feel more comfortable when working with images, as well as it will be a huge time saver for experienced users. See the complete list of WordPress 4.1 changes in the field notes page. To summarize, these updates bring some welcome changes to frequent users of WordPress, as well as to developers. They all are aimed to make your life in WordPress much more comfortable.